He urged Mr Trump to pursue a deal that was "mutually acceptable." In response the president tweeted praise of Mr Kim and welcomed the idea of a new summit. 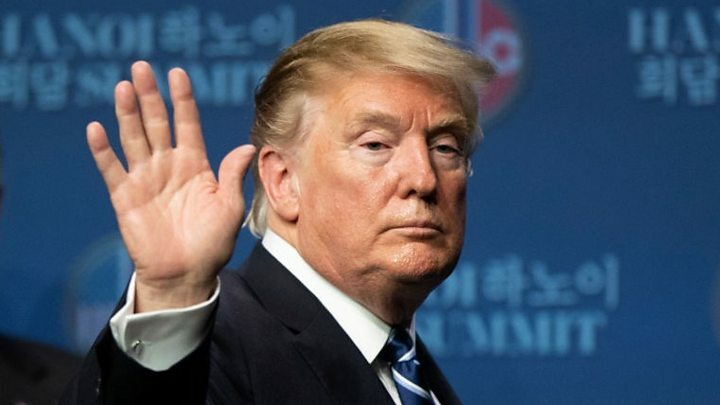 In his most recent comments, Mr Kim said in a speech that the summit had created a "strong doubt" in him over whether the US genuinely wanted to improve relations. But he went on to say: "We are willing to give another try if the US offers to have a third summit with the right attitude and mutually acceptable terms." He said the US "mistakenly believe that if they pressure us to the maximum, they can subdue us" and called on them to cease "hostile" negotiating tactics. He did, however, add that his personal ties with Mr Trump remained "excellent". 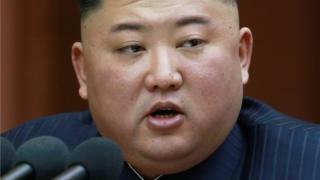 The North Korean leader said he would give the US until the end of the year to make a "courageous decision" over any new summit plans. The US president responded by heaping praise on Mr Kim in tweets noting the potential for "extraordinary growth" under his leadership. Last month, Vice Foreign Minister Choe Sun-hui accused the US of taking a "gangster-like" stance and said it had thrown away a "golden opportunity" in Hanoi. WATCH: What's is it like to live in North Korea? Kim Dong-yup, of Kyungnam University's Institute for Far Eastern Studies in South Korea, told Reuters Mr Kim's remarks signalled he would not cling to talks with the US forever and could instead look "to diversify its diplomatic relations with other countries".